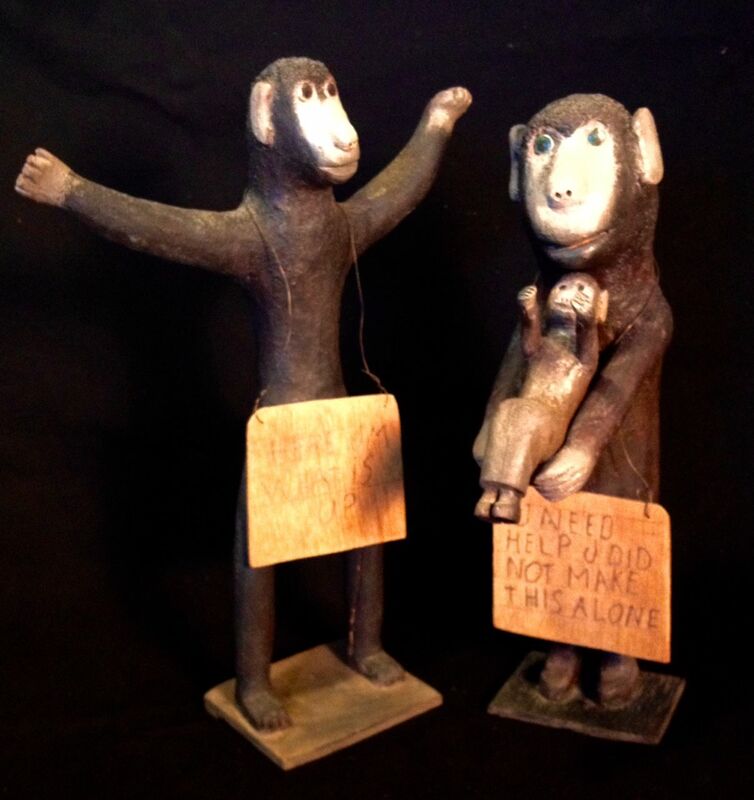 A family of monkeys by Beardmore, Ontario, master folk artist, Ewald Rentz. 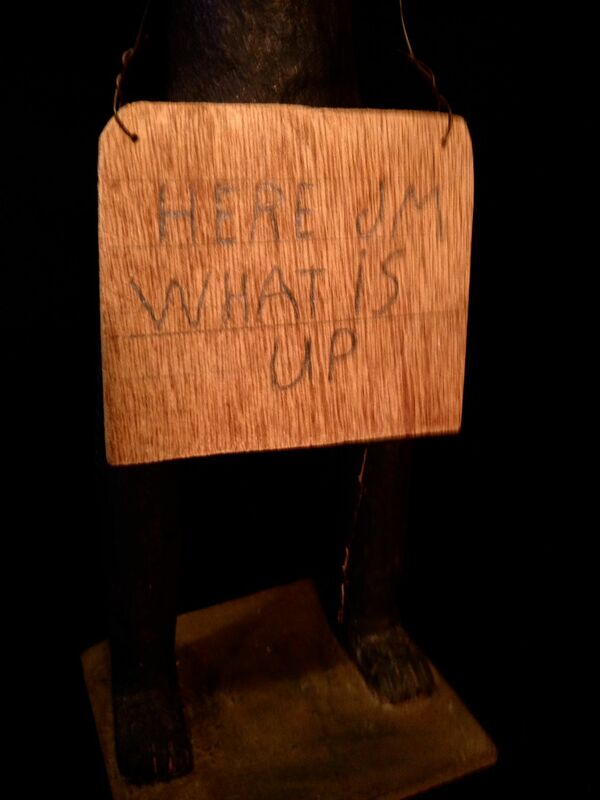 The father's sign reads "Here I (a)M, What is up." 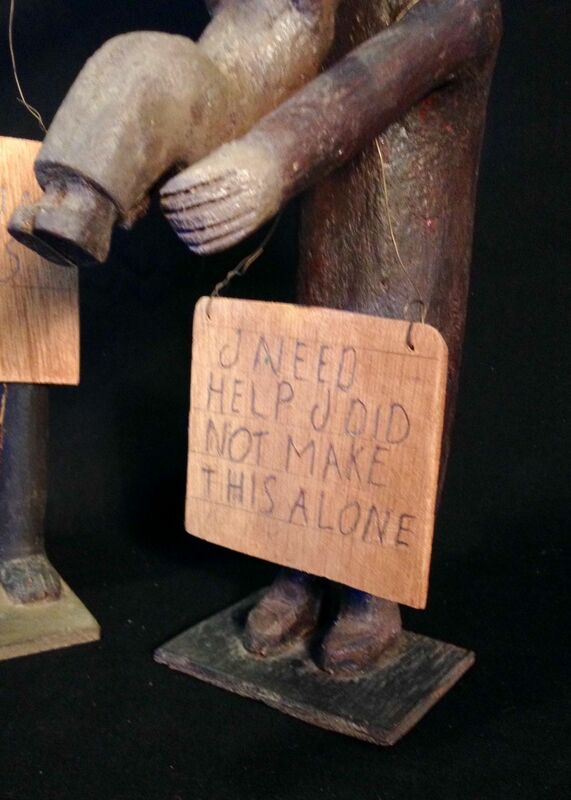 Her sign reads "I need help. I did not make this alone." The little baby monkey she holds is separate and rests in her arms. Both pieces are signed on the bottom. Rentz enjoyed expressing the occasional social commentary. Particularly if humor was involved. This is an earlier piece, circa 1980, but is not dated. All pieces are in excellent original condition. 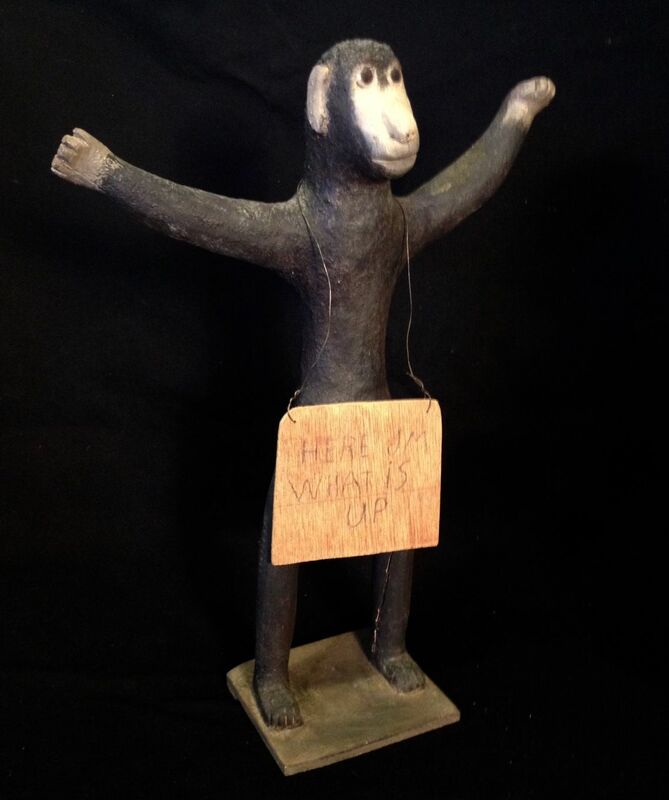 Dimensions: Male monkey 15 1/2" tall, 11" wide, 4" deep. 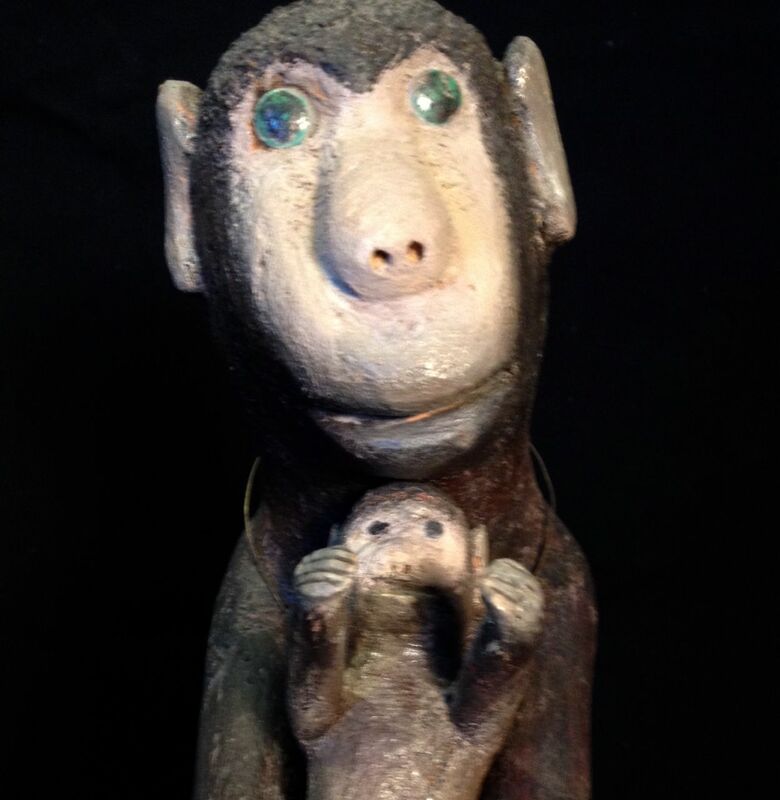 Female monkey 14" tall, 4" wide, 4" deep. Baby monkey is 6 3/4" long. Price is for the group.